This is actually a make from a couple years ago (before I had this blog) but it’s been finding some new love lately so I thought I’d dust it off and write it up. 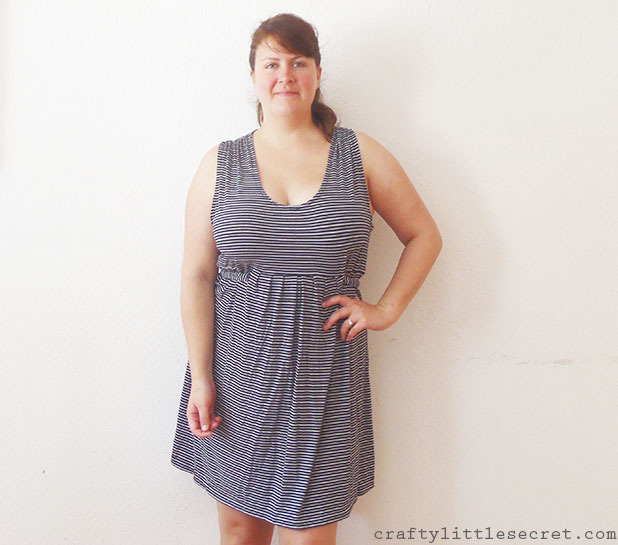 This is a easy sewing pattern from Butterick, B5593 and it’s a great little basic pattern. 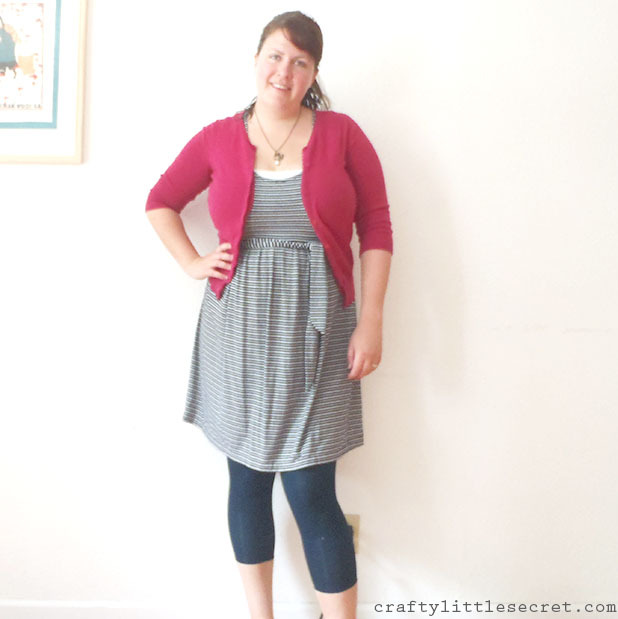 I sewed up View B with the scoop neck because I thought the V-neck looked a little low, especially for my ample bosom. As it turns out, even the scoop neck was a bit low for my liking, but that’s solved with a white cami underneath. 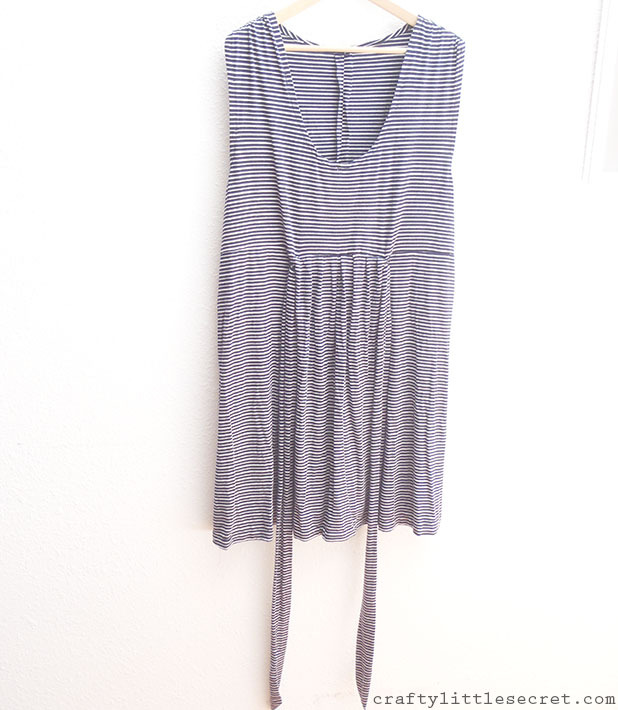 Next time I make it I think I’ll bring the neckline up by at least an inch (arm holes too, they’re strangely gaping). 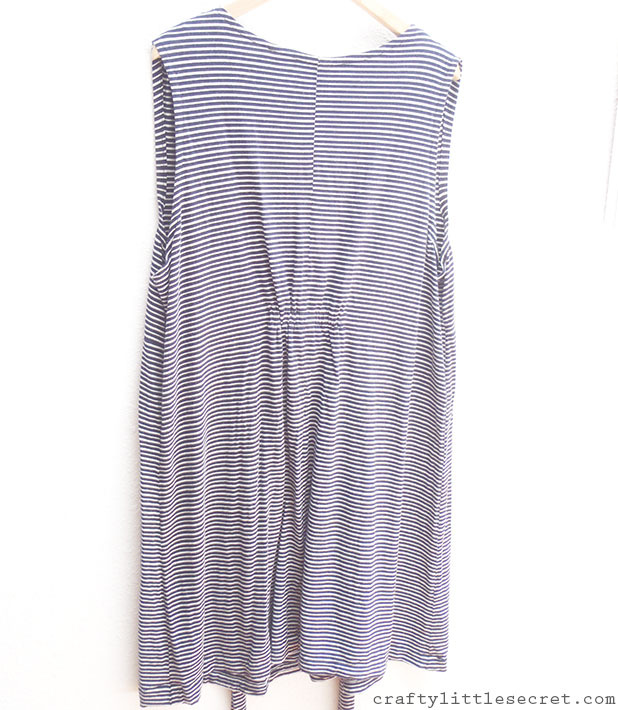 It should be a really easy adjustment since the neckline isn’t even faced. 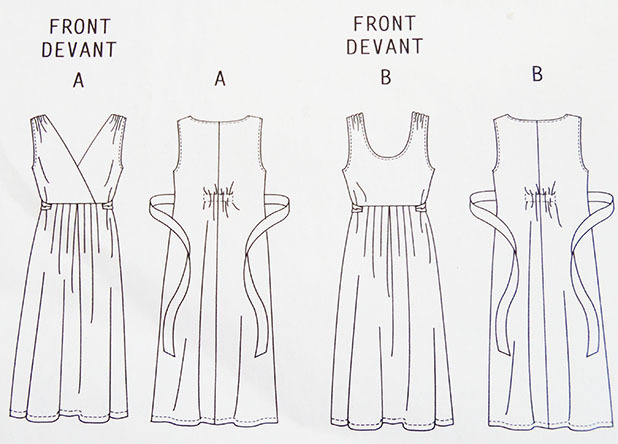 The pattern features a waist tie that goes under the dress at the front, exhibiting some gathers at the top of the skirt, and emerges from the sides to wrap around the waist. The waist gets a bit more definition with a little elastic gather at the back as well. 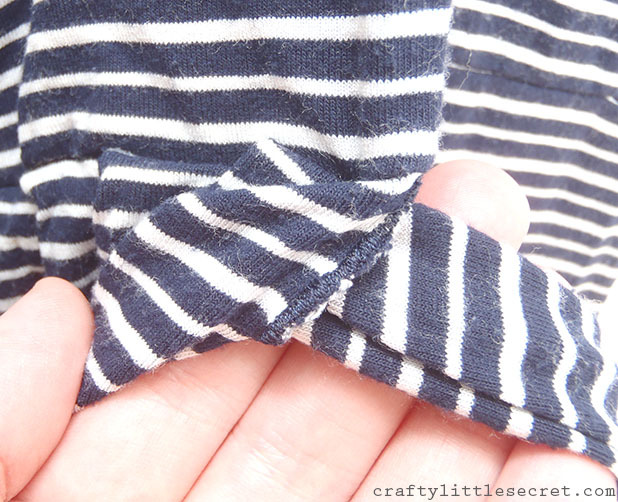 Although I made the dress a while ago, I do remember that it was pretty tricky to try to sew the button holes that the waist tie passes through in knit fabric. In the end I was glad they’re mostly hidden by the skirt gathering. Re-reading the pattern instructions now, I suspect I used a fabric with a bit too much stretch since the pattern says it’s suitable for fabrics with moderate stretch only. Oh well, the fabric I chose is so lovely and swishy that I don’t care! I think I’m just going to have to remember to automatically add at least an inch to the bodice of every dress I make. I’m long in the body with narrow hips and my bust sits low giving everything that baby doll look. There’s a definite sweet spot for where things hit me that isn’t always at my natural waistline. Too high and it looks like there’s no space between my bust and waist (which is, in fact, the case) or I look pregnant (which is not, in fact, the case). Too low and it looks like my entire body is a tube the same thickness as my bust. The lengthen/shorten line on this pattern is in the skirt pattern piece which wouldn’t really help with my problem. So I think next time I make it I’ll just add a couple inches right where the bodice joins the skirt. 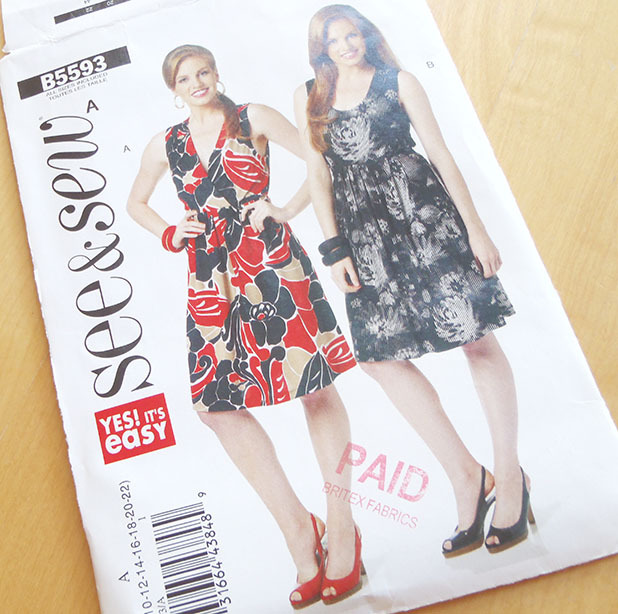 Looking at these pictures I’m really surprised how short this dress is compared to how it looks on the envelope front! Unfortunately, I can’t remember if I cut the length according to the pattern or decided I wanted it shorter. I’m 5’10” so I usually cut everything with at least an extra inch or two in length. Or maybe I didn’t pre-shrink the fabric??? Seems like something I would skip…. Sorry I can’t remember more details about the construction, I pretty much just followed the pattern! But since I’ve found new love for this dress I thought I’d share it here. 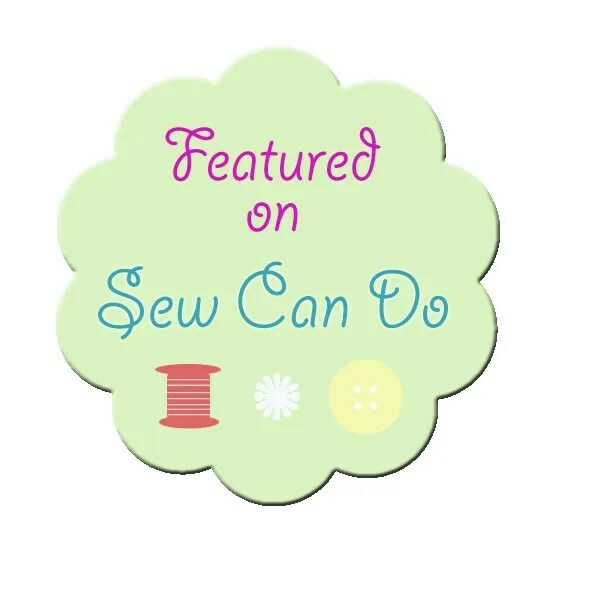 This entry was posted in Sewing Projects on June 13, 2014 by missphd.